with technologies empowering a sustainable future. Envision commits to building a smart energy ecosystem worldwide to drive the transi- tion to a sustainable energy future. 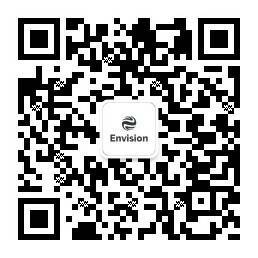 Envision Venture has invested in a series of companies in the US, Europe and China, the technology of which pioneer in IoT, Big Data, Smart Grid, Storage, Security and etc. The world’s largest and most open electric vehicle (EV) charging network company. Manages 3000 MW of DERs with the energy industry’s first comprehensive flexibility management solution for demand response. World’s largest residential energy storage company. Provides Cloud-Powered Network Detection & Response (NDR) to secure Enterprise, Cloud and Industrial networks. Capture all your power plants data in one uniform software platform.